If you are marketing a hypnotherapy practice nothing stands still for very long. Something that was appropriate two or three years ago make not work at all when you are trying to attract sales and clients in 2018. When I first wrote my Hypnotherapy Marketing eBook in 2015 it had all the latest up to date information about how to create a thriving practice but in just a few short years what was relevant then is no longer useful just a few short years later. So I have spent the past couple of months refreshing all the information and making the Hypnotherapy Marketing eBook 2018 edition 50% bigger than before. It is amazing to think how much changed since the first edition of my eBook. Here are just some of the changes that have occurred in just three years. Instagram is now one of the biggest social media sites in the world. It didn’t even get a mention in my first hypnotherapy marketing eBook! Meerkat the live broadcasting medium has disappeared. Facebook Live was introduced to capitalise on our need for instant video. The Google +1 button has vanished. Snapchat has become a huge social media channel for millennials. Google my business has become an essential for local businesses. When I work with my marketing students I get asked time and time again why they can’t just create a website, put up a Facebook Ad or create a YouTube video and then just forget the marketing they have completed. This is because everything changes and much faster than you think. I get regular calls from Google Adwords for example every two months updating me on the latest changes to their advertisting platform. If I leave up my original ads without making the necessary updates and changes I suddenly find my ads which were making me money are now getting a lesser click through rate. If I don’t update my website or write some blog posts or get social media shares my website falls down the rankings. Marketing a therapy practice requries you to constantly update your content and strategies otherwise you will get left behind. I spoke a few years ago about how Google was starting to prioritise mobile friendly websites in their rankings. Well now they have gone one step further. They are currently introducing their mobile first search engine which means that mobile versions of websites are being prioritised for indexing and ranking over desktop sites. This update is currently rolling out as we speak. For any of you still sticking with an old desktop only website this spells big trouble! How many of you are thinking about how to capitalise on voice search? Believe it or not looking for things by typing words into a search engine is not going to be so popular in a few short years from now. Think about Alexa, Siri and Ok Google and you can start to see that the way we look for information is changing all the time. Writing a website that uses voice search phrases instead of typical paragraphs can make all the difference to your profitability. 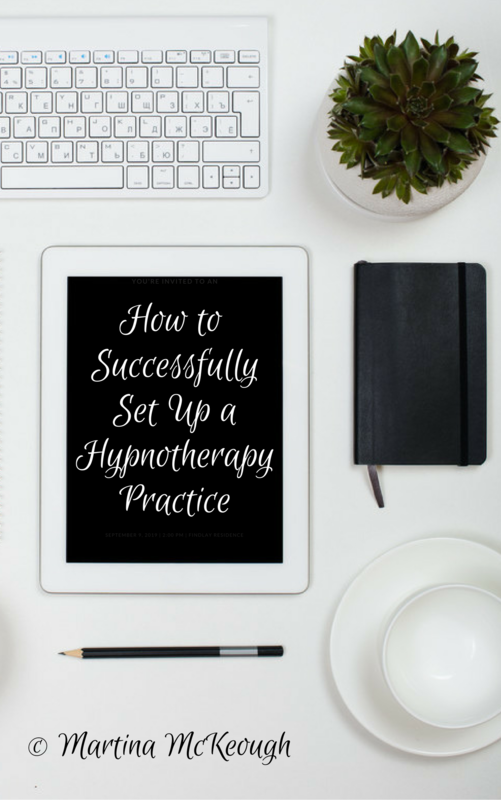 If you are staring out on your journey as a therapist or are unsure how to get clients in to your hypnotherapy practice the my latest eBook is designed to help you understand the elements that you need to work on to have a successful business. Here are just some of the things I discuss in the latest edition of my marketing eBook. With over 150 pages of information you can get informed about the very latest ways to make a difference to your practice. Good luck building your booming business. Firstly welcome to the last blog post of the year. 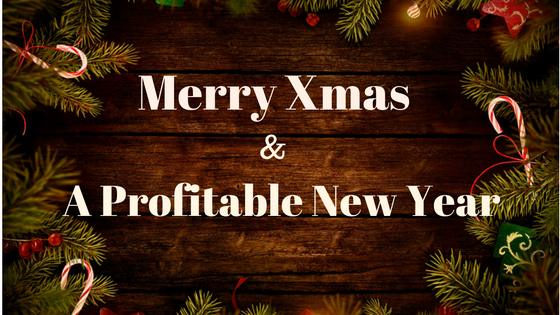 I hope you have all had a lucrative 2016 and are now getting ready to multiply those practice profits in the New Year. December is the perfect time of the year to be planning your hypnosis marketing strategies for 2017. As your clients thoughts turn to overeating, drinking and being merry you are likely to have a couple of quiet weeks where you plot and plan that income boost that always appears in the New Year. Now as many therapists are aware in order to be a wealthy therapist you need to be killing it when it comes to your competition. That means you need to work smarter and harder than your competitors whether they are based internationally or locally. Here are 49 Hypnosis marketing strategies that you can start to work on today to boost your income and build that amazing business of yours. There is no need to work on everything at once as it just is not possible but pick a few from the list and make a start on marketing your products and services. In order to help you we have a number of additional tools which can help you to build your business faster. An Online Hypnotherapy Marketing Ebook with more details on some of these strategies. Our Turn your Website into a Client Magnet that shows you just what you need to do to attract paying customers into your practice. I also have a new course on Google Adwords which I will be releasing in the New Year to help you get to Number One on Google and slay your competitors. So until 2017 I wish you all a fantastic Xmas and New Year. Create Gift Vouchers – What can you get the person who has everything? Why a hypnosis gift voucher. It can be for relaxation sessions, law of attraction work or even just to target the curious. Market them on your website, create a beautiful online voucher and you are ready to go. Target Your Doctors Surgery – Talk to the practice managers, leave leaflets in the surgery or offer specific services to each GP. This is the perfect target market for anxiety clients. Head to the Gym – No not to work out but to put up your leaflets. Get there before January and help all those clients who want to lose weight as part of their New Year resolutions. Free Noticeboards – Stick those leaflets up anywhere you see a free noticeboard. Bus stops, coffee shops, supermarkets and so on. Even better if the leaflet is somewhere where people have to queue! Set up an Account on Pinterest – Get pinning those inspirational images that make your business seem irresistable. Driving Schools – Where there is a nervous driver there is a hypnotherapist who can help. Contact those instructors and offer to help. Corporate – Find the movers and shakers in companies local to you and start to offer them your services. Create promotion packs to sell stress management, stop smoking or sales performance sessions. Video – Start creating videos and marketing them on YouTube or any of the other video sharing sites. Show proof of your skills, clients beaming with happiness as their problems fade away and watch the hits on your website increase. Awareness Days – Find out the awareness days for 2017 and create special promotions around them. Such as depression awareness, Stoptober and Dry January. Team Up – Find some local massage therapists, personal trainers, physios and team up with them to create a package of services or to cross refer. Hand Out Leaflets – Outside stations, busy fairs or events or even in a shopping centre promoting your services. Just make sure you get permission from the relevant authorities first. Create an Online Course – Although you will always need the personal touch with some clients others will respond with some simple self help online. Give them the tools to empower them and they will thrive. Get a Website Review – Find someone who really knows about hypnosis marketing strategies and get them to review your website. With some simple changes it is often possible to double, triple or quadruple your revenue by rectifying your copy and website structure. My online course “How to Turn Your Website Into a Client Magnet” enables you to review your website yourself and make changes so that you can multiply your income. Contact Those Dentists – Nervous dental patients or clients with bruxism as perfect candidates for some hypnosis to alleviate stress and anxiety. Create and Instagram Account – Advertise your business, like others and generally get involved in your community. Yoga Classes – Hypnobirthing and Yoga Classes go hand in hand. Offer taster sessions with the local yoga teacher at the end of a class and start attracting new clients. Start a Blog – Blogging is a great supplement to your website and if done well can go viral or create a community of followers in your niches. Design a Logo – Create an identity for your business and use it on your website, marketing materials and emails to stand out from the crowd. Get on Facebook – Get involved locally or in a group important for your niche. Heah even better start a group of your own and control the content! Market Research – Find out what your customers really want. Get out on the street or go online and ask questions to find out what is selling then tailor your products and services to meet demand. Get Testimonials – Put them on your websites, on videos and in your marketing materials. People love proof that hypnosis works! Record some Self Help Audios – Start recording self hypnosis audios and market them online and to your clients. Just make sure that they are the very best quality you can make. Upsell your Products and Services – Package your sessions to that you are selling programs. Upsell email support or your self help audios to bring in extra revenue. Even buy wholesale products and have them in your therapy room for your customers to purchase. Find your USP – Your Unique Selling Point is what makes you different to your competition. Work out what it is and start to use it in your hypnosis marketing strategies. Build a Therapy Centre – Rent a premises and start selling the other rooms to therapists for a fee. The other therapists will cover your room costs and you should profit on top! Use Paid Advertising – Google Adwords and Facebook advertising when done well gets you in front of your target audience. Use it wisely and see customer numbers jumping. Stay tuned in the New Year as I have created an online course to help you master Google Adwords for Therapists. Connect With Other Therapists – Counsellors, CBT therapists and psychotherapists are perfect people to network with and create cross referrals. Start a Podcast – Offer people tips and strategies for self help on a regular podcast and build a network of followers. Citations – Build citations in local directories and link them back to your website. Just make sure they are relevant or local. Networking – Join some local networking groups and connect with others. Spend very little initially until you find the ones that work for you. SEO – Learn about Search Engine Optimisation and start to put your knowledge into practice. Good SEO can boost your organic rankings and get you found in Google and Bing. Forums – Get involved in niche forums and offer your advice. Put your links in your profile and wait to be contacted. Get out on the Street – Why not demo your hypnosis skills in front of the general public. Amaze those passers by and wait for the stream of people who want to book an appointment with you. Wedding Planners or Dressmakers – Who doesn’t know a bride who didn’t want to lose weight for the big day? Create a weight loss package and market it to bridge and even the bridegroom. Health Food Stores – Get to know the owners. Put up leaflets and offer taster sessions and talks. Email Lists – Start collecting emails from your customers and potential clients and remarket to them. Local Newletters – Find out who runs your local newsletter and either write an article or take out a small regular advert. Press Releases – Got a new product or amazing service that you need the world to know about. Create a press release and advertise just what you can do. Twitter – Get on Twitter and engage in the community or with people in your specialist niches. Create a Workshop– Start by creating a workshop or a mini course for people to attend. Seeing twenty people at once will always be more lucrative that seeing one person at a time. Get on the Radio – Ok so you may have a problem getting on the National stations but there are hundreds of local and community stations that would love your input. Create an ebook and Sell it – Have a great solution to a problem? 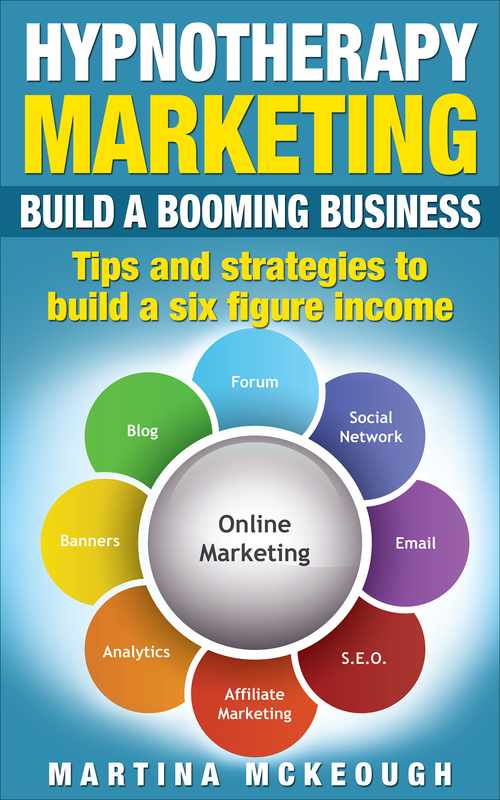 Then get writing and marketing your ebook. Self publishing on Kindle makes it easy for you to be a published author. My eBook on Hypnotherapy Marketing goes into considerable detail on how to market your business effectively. Broadcast Live – Periscope, Meerkat and even Facebook allow you to broadcast live and post directly online. Create a session with the wow factor and put it out there for the world to see. Snapchat – Learn how to use Snapchat and build a following. Volunteer – Get a gig volunteering at your local hospital using your hypnosis skills. Once you have people convinced of its effectiveness you can market your sessions to those who can afford to pay. Local Help Groups – Get involved with local help groups and offer taster sessions or talks. Google+ – Get on Google + and Google My Business to appear on those maps! Create a Membership Website – Offer clients continual value so that they sign up for your services month after month or year after year. Local Newspapers – Get in touch with your local newspaper journalists and offer them a story. How you cured a local person of a fear of Santa Claus. How you created stress reduction sessions for families who were worried about Brexit. Make it topical and local. Enjoy putting in place those hypnosis marketing strategies hopefully they should keep you busy until my next post in the New Year! 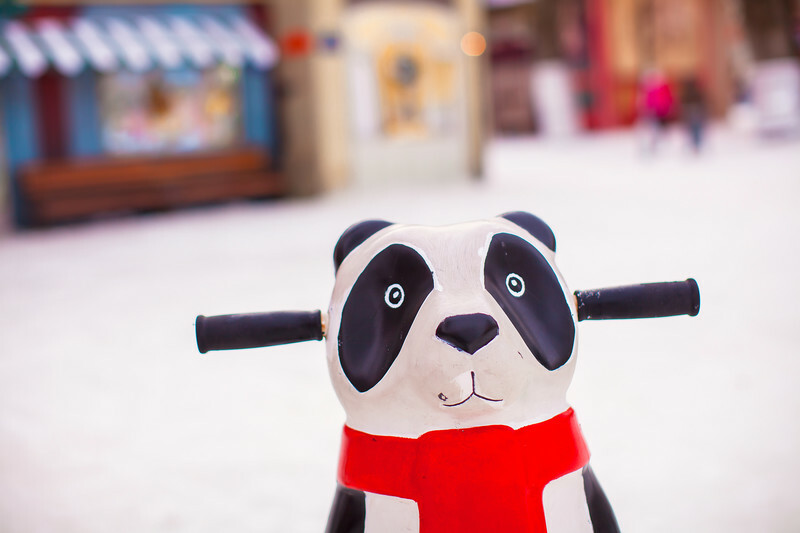 How Pandas, Penguins and Possums Are Impacting your Hypnosis Marketing! SSL Certificates and on and on the list goes. In fact there are around 200 different ways in which google decides what they want to show you not including the information they show you in their ads. Having a basic understanding of the algorithm is essential as without this knowledge it can be hard to create a website that gets found. Most therapists just create a website they like the look of with a web designer but this is a perfect way to disappear and never be found by the general public. My online course How to Turn Your Therapy Website Into a Client Magnet gives you many of the basics so that you can start to optimise your website to get found. So what has this got to do with animals? Well Google has a mission to give searchers the most useful information they can and that means that they are always tweaking and adjusting search results so that their users get the best experience. They also work on ways to close loopholes that allow spammy or low quality websites into the search results. In recent times these updates have been given code names and you guessed it Panda, Penguin and Possum are the names given to some of the major changes that have happened in the past few years. Having a basic understanding of these changes is essential because if your website is on the wrong side of the changes then your business could vanish overnight from the search engines. A perfect example of this was the company Interflora in 2013 who paid for newspaper advertorials to link to their company so they could get a boost in the search engines. Google found out and the next thing Interflora disappeared from the search results. Imagine how many millions they lost whilst they frantically tried to recover their website. Just as with Interflora the same things are happening to your websites and in many cases you are probably unaware that your hypnosis marketing efforts are being destroyed because of things you or your website developer has done to your site. So here are some of the basics that you need to consider before creating content or links to your website. The Panda updates revolve around demoting websites which are of poor quality. This could mean websites that contain lots of spam or sites that simply have very little unique information to offer. It also penalises websites that contain duplicate content. That means if you have two websites you cannot repeat any of the information from one and place it on another. The Penguin updates tend to concern themselves with links created by spammers to give their websites a boost. Now if you have outsourced your SEO work to someone else how do you know what they are doing is actually helping or hindering your website. I have come across many companies who have paid for SEO services and the person doing the work has built a lot of rubbish links to their sites that could get them penalised. Also never be tempted to buy backlinks from one of the companies that I regularly see advertising on the web. This is a perfect way to destroy your website. Possum is an update which has happened in only the last month and impacted how local search results were shown. Previously a business really needed a central location in a town or city for it to appear highly in Google maps or the organic search results. Since Possum you can rank for an area if you are outside the town centre provided your website shows that you are offering services to people in that location. 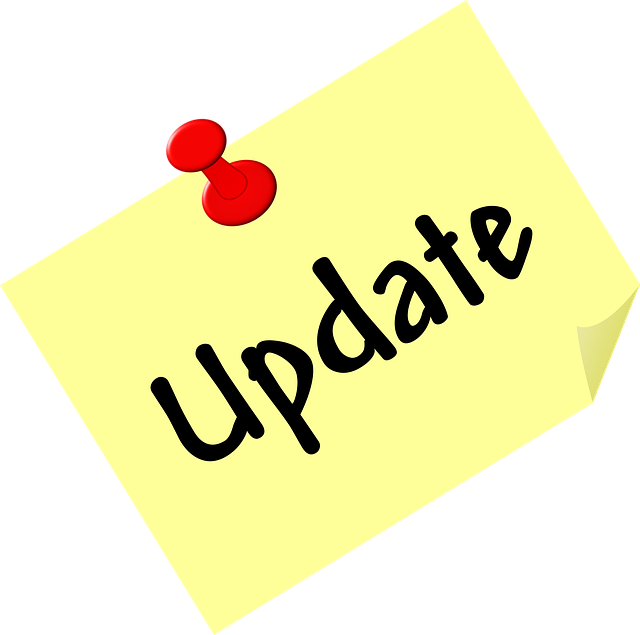 This update is ongoing as we speak so the full impact is still not known. It is worth noting that many of these code word updates have a number of revisions. Which means you will see a Panda 1, 2, 3 and 4 as Google becomes more sophisticated. There are also other codewords including Hummingbird which is the code word for the Google algorithm itself and Pigeon for local SEO results. Having a basic understanding of search engine optimisation and how Google decides to show your website is vital if you have a website. Without this knowledge you could find your business impacted overnight simply because you got some of the basics wrong. Whilst you may not be an Interflora it could be enough to significantly harm your income. Oh and for those of you who still have not got a Mobile website I suggest you do so asap. Rumours are that at some point in the near future Google may simply stop showing non mobile friendly websites in the search results at all. Over 50% of searches are currently done on mobile devices so it is obvious why they are thinking of making this change. Don’t bury your head in the sand, ignore hypnosis marketing and hope the problem will go away. My online course has information on where to create a new website for under $200 which is a small price to pay to avoid vanishing from your potential customers. 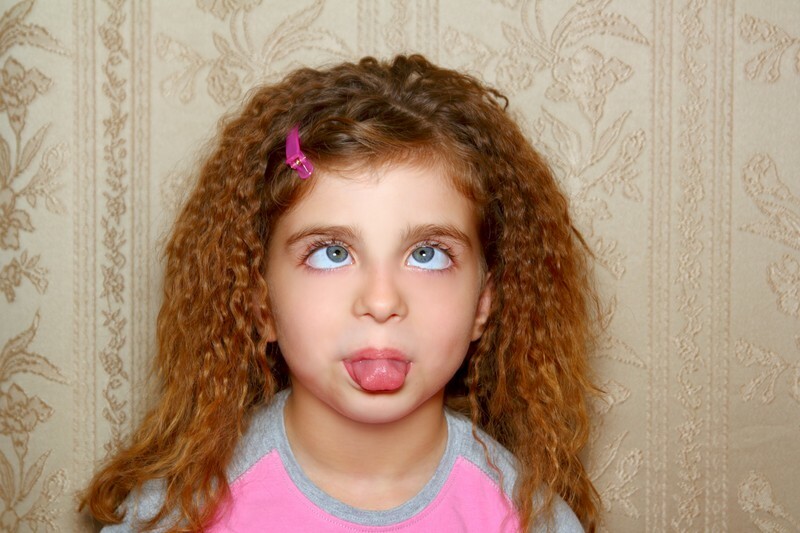 9 Shocking Habits Therapists that Need to Stop Now!!! Just in time for Halloween my fright night horrors that I come across when dealing with therapists and their websites. For many years the general public have considered hypnotherapy to be a non serious profession. Yeah it is ok to use on TV when you are making fun of people but as a serious therapy the vast majority would rather get their teeth pulled out at the dentist than see a hypnotherapist to resolve their problems. Some of us are slowly trying reverse this perception by upping standards in the courses and education as well as by educating people in the media, online or even face to face. BUT there are a small number of hypnotherapists who just don’t get it and are jumping on the hypnotherapy bandwagon and trying to do things on the cheap and it still shocks me that the modern profession has training schools that send their students out to meet the general public with this attitude. Here are just some of the unbelievable things I have encountered lately whilst working with therapy marketing students. Professionalism – I won’t name and shame but I recently booked in a newly qualified hypnotherapist for a series of marketing sessions. This was to take place via Facetime or Skype. On the morning of the session I started the session to see that they were sat ready to start the session in their car! If that wasn’t bad enough the car was located in a fast food outlets car park. What the hell!! How on earth am I or for that matter the general public going to take a therapist seriously who thinks it is ok to conduct coaching sessions in the car park of a fast food chain? What message does that send to me? It says I can’t be bothered taking time out of my day to work on my business seriously and I am cramming you in before doing something else. If you truly serious about your profession then sessions need to be conducted in a space that is suitable for the person you are going to meet. No therapy, marketing, coaching or business meeting is suitable for discussions in a car. This goes for your clients as well. Unbelievable as this may sound one of my clients also wanted to conduct a Skype session from her car as well. It is time for this madness to stop. Courses – Time and time again I hear on from my students that they chose a course because it was cheap. Another student of mine when questioned on their qualifications was not able to tell me if they could even get into a reputable UK professional body. They had no clue because they had gone on a churn and burn course online. No medical doctor looks for the cheapest course they can find. They look at the best possible medical schools they can get into for the best possible training as they are saving lives. In a way we are also doing the same. If we can get someone to lose weight, stop smoking, tolerate chemo or stop an addiction we can do the same. So why oh why does our industry attract people who think they have the ability to do this after a few online lessons and a tiny fee? Research your courses, talk to the professional bodies and then pick the absolute best there is! Websites – One of my personal hatreds is seeing a website that has been thrown up by a therapist in the hope that it will do. No it won’t do as it looks awful and your clients will think the same. If your pictures are out of proportion, if you have big gaps in your template, if your fonts vary significantly or you have areas where links are broken then they need to be fixed now. Who wants to look at a website that is a mess? A website does not have to cost the earth if you know what you are doing. If you don’t then get help. My Turn Your Therapy Website into a Client Magnet online course shows you exactly what you need on your website in order for it to be a success. This is essential information and most hypnotherapists don’t know this important information. Another of my students started our sessions together and showed me a website that a developer had created for them for hundreds of pounds. The website consisted of one page! Talk about throwing your money down the drain. To top it all the website was on a developers system so it can’t be altered easily. In this case the website was scrapped and we will have to start again. If you don’t want to make these costly mistakes get help before you start. Spelling and Grammar – Whilst we are on the topics of websites how many of you have really proof read your sites? You can get away with the odd typo of course but every now and again I come across a website that is littered with problems. I saw one of the worst possible yesterday where nearly every sentence had an issue. What would a potential client do if they came across the same? Well I can tell you that my first instinct would be that if a hypnotherapist can’t do basic spelling then I don’t want to see them. How could they possibly solve my problem if they couldn’t even get some basics right? Get an educated proof reader to look through your work and run everything through a spell checker online. It won’t catch everything but it will certainly iron out most of the problems. Dress – Appearance is everything in this profession as if we are dressed right then we will inspire confidence in our clients. Now that does not mean a formal suit in every case (even though in certain clinics or locations this would be expected) but certainly smart clothing. Yet many therapists dress inappropriately. Flip flops, jeans, dirty or scruffy clothes, slippers and so on. If this is you it is time to smarten up now. Just because you are self employed does not mean you can get away with this. Location – Many years ago I went for a therapy session at a woman’s house in North London. When I was there I couldn’t pay any attention to what she was saying because I was staring at her carpet which needed a hoover badly. I never returned for another session. I have left clinics because of problems with toilets, moths, cats and general cleanliness. Luckily I am now in the position to have my own clinic attached to my home which is spotlessly clean, spacious and quiet. You need to make sure that you have the same. If you work from home then the space has to be absolutely appropriate for the therapy to take place. So no animals, dirty washing, interruptions or general mess. If you can’t provide this in your home then find a suitable professionally run clinic and believe me they are not always easy to find. Copyright Issues and Plagarism – I have just finished off a conversation with a potential marketing client who was looking for help to grown their hypnotherapy business in the UK. As with all these calls the first thing I do is check if the person has a website and then I went to have a look. Imagine my shock when I saw that their logo was also identical to mine, same keyword and similar colour and style. Now I didn’t get angry at the person on the phone. They were naive sure but they had not thought to check if the work they had been given was really original. In fact I have experienced this before when a website designer had copied the wording on every single page of my website (yeah I caught him as well)! Be aware that you can’t go stealing other peoples names, content or designs otherwise you will be getting legal letters before you know it. Lying – If you are creating a website only put in your real experience and qualifications. I have just come across another student who claimed they were a master practitioner, one of the elite in the profession and so on. This person had not seen one client. Lying about your qualifications and experience is a good way to end up in court when your clients find out that you haven’t a clue! Google in the UK certainly is coming down heavily on holistic therapists at the moment and is banning websites from paid advertising that don’t have significant disclaimers on every page where they make a claim. The Advertising Standards Agency is also waiting to pounce on those who are misleading the general public and making outrageous claims. There are ways to write content without admitting you are a novice and without lying about your experience. Use them and stay on the right side of the law. Giving up the Day Job Without Real Consideration – A marketing client just spoke to me about how they had sunk £2000 into their website and still were not appearing in the search engines. They admitted they were not particularly literate with computers and were no sales person and the money was running out. What were they going to do? The simple answer was pay someone to teach you or go back to work. So yeah hypnosis, reiki, counselling is your passion but if you have no business skills then do not be naive. You have to get clients through the door and throwing money at an expensive website is not going to help! Many of my students can be up and running by spending less than a couple of hundred pounds at most. Talk about throwing money down the drain. Spend your money wisely on someone who can actually help rather than second guessing how you are going to make a living in this industry. 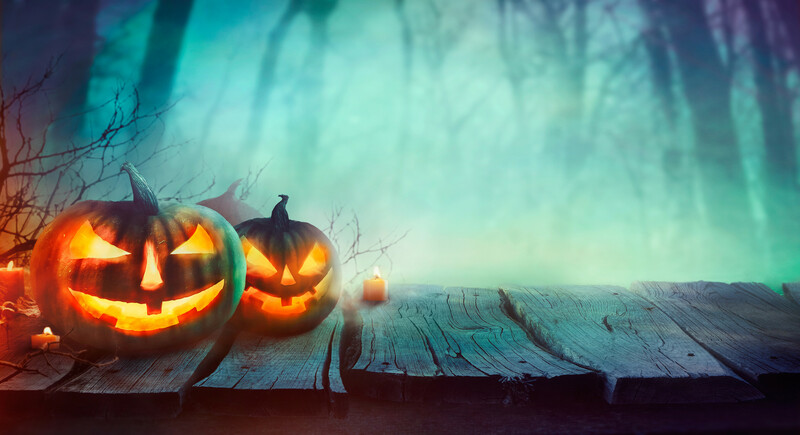 Stop your website and business featuring in my tales or horror next Halloween and get professional help to get things right. Simply contact me to get more information on how you can build an awesome business that attracts customers the right way. In Hypnosis Marketing Image is Everything! Your Website Looked Nice – Such a weak word “nice” but probably the colours and images appealed. There were Testimonials – If you have written/video proof of someone else saying you are great then you must be. You Practice in a Good Area – In London Harley St or the Hale Clinic mean premium prices so that means you must be great. Most towns and cities will have similar chi chi clinics or areas. Your Photo – It was a great smiling photo and you looked like a super model or were handsome (shallow but true). Alternatively you looked authoratitive and like a therapist so met your clients expectations of what a therapist should look like. Media – You have appeared in numerous famous publications and you plastered the links on your site. If you are good enough to get in a paper/magazine or appear on the TV then you are THE EXPERT! Statistics – You quote meaningless statistics at your clients such as unqualified and unprovable success rates. If you resolve 99% of problems then there are going to be fixed in one session! You Link to a Guru Someone Knows – You were trained by Paul McKenna and there is a picture of both of you on your front page. This means by some form of strange osmosis you are the next best thing to seeing the man himself. Why do These Hypnotherapy Marketing Tactics Work? Very simply a potential client who comes across your website randomly has no idea whether you are any good or not. They are looking for really simple and easy ways to identify whether you are the real deal. The generally haven’t got the time or the inclination to research the industry inside out so they are going to pick someone who gives the impression of success. The examples I gave above are just some of the reasons one website would be more likely to stand out against others. Of course not all of the examples are ethical but they are tactics that I see employed by certain hypnosis practices time and time again to pull in customers. Client has problem and comes to your website. Your website demonstrates that you work successfully with this problem. Where possible have testimonials related to this problem. You present the potential client with a phone number and email to contact you as easily as possible. Yes of course your website can become more sophisticated as you master these three basics. Sell courses. collect emails, offer ebooks and so on but get the three basics right if you are looking for client bookings. Appear confident, authoratitive and offer insight into your clients problem. Show that you have knowledge, skill and ability to resolve problems and you have a sale. Look quirky, bonkers and write about things that have nothing to do with these basics and your clients are lost. They have no idea why the use of metaphors can be great tool in hypnosis and they don’t care. As the saying goes “Keep it simple stupid”! Hypnosis marketing and image can also be important for SEO and attracting clients attention. Here are some therapy marketing tips to help you with using images on your website. Firstly make use of images in your blog posts and on each individual page on your website. There is nothing more boring that reading content without something to break it up. Try and make the image relatable to the content. If you are using an image of yourself make sure you look great. Sadly quirky looking people don’t sell products and services in our niche. Label your image in the alt tag sections. For those of you who are not aware a typical image may have a name like 123img.jpg. Obviously this name is totally meaningless and in no way relates to the services and products that you are offering. This means that you need to rename the file to something that Google or another search engine can recognise. Change the file to something like Hypnosis in Derby and you will now start to appear in Google image search. Whatever you do reduce your image sizes. Why? Your page loading time is one element that is used in your website ranking. Whenever you have an image that takes more than a second to load your potential client has given up and gone off to another website. You can edit your images with tools such as Pic Monkey, Plixr and Fotoflexer. To find out more about your page loading speed head on over to Google’s page speed tester. If you have a website with decorative background swirls and design beware as this can also be classed as an image and it will no doubt slow down your load times. Where possible try and create clean sites with optimised images. Remember that there are a number of free image sites out there where you may be able to get something that is usable on your website. In some cases the licence may require you to acknowledge the original photographer. I typically use paid websites such as canstockphoto where you can buy a bundle that allows you to download a certain number of images. Beware copying something from the internet which is owned by one of these sites without paying a fee. Expect threatening letters from their lawyers demanding large sums of money. If you aren’t sure about your website then get a second opinion. Leaving it to chance means that potentially you are leaving thousands of pounds on the table. With the right help you can turn your website and images from a client repellent to a client magnet. Our mentoring and hypnosis marketing services help turn failing businesses into thriving concerns. 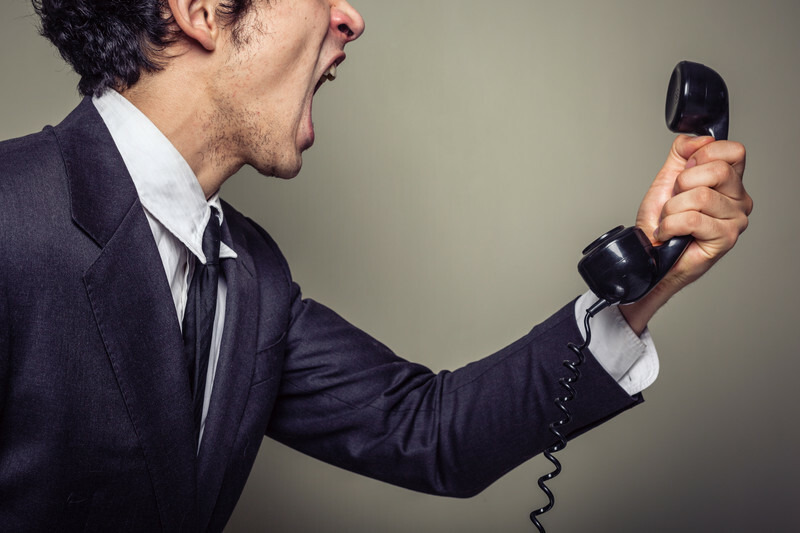 Believe it or not over 50% of our clients had no customer calls in the six months before they rang for help. Without our expertise those clients would have given up and gone back to their old day jobs (which they generally hated). If this sounds like you then give yourself a fighting chance of success by contacting us via email. I think you will agree that finding great tools to boost your Hypnotherapy Advertising can save you time and money. In the old days it was relatively simple. Pay for an advert in the Yellow Pages and wait for the phone to ring. Now hypnosis marketing is becoming increasingly complex and if you don’t understand the game then you are doomed from the very beginning. Many of my marketing students are stunned at the complexity of modern day client attraction techniques. Left to their own devices most of them would have been out of business in half a year. That is why it is essential to have the business knowledge and tools to help you on the road to success. Here are just some tools that can help you to boost your current marketing efforts. Google Keyword Planner – Previously called the Google Keyword Tool this has become an essential starting point in finding out keywords that are relevant to your business and niche. Whilst not always 100% accurate the planner can help you to identify words that you can use on your website or blogs to attract people interested in your services. Primarily the planner allows you to enter in a set of keywords into its search system and then it generates a large number of other keywords which may be useful to your business niche. I know that this tool could be invaluable to most therapists if they bothered to use it. Why? Because it would stop them writing content that nobody wanted to see. There is no point making a great page on your website talking about your expertise in Hypnotherapy for Dementia if there are only ten or less Google searches in the country per month for that term. Logically it is highly unlikely that many of those searches will be near you so concentrate initially on the terms that your clients are looking for and write your content around that. WordPress – There really is no need now to get expensive websites created in HTML coding when WordPress has become the main platform to create your online site. WordPress has made things simple for you and uses a system that makes it super easy for you to write content that matches what Google wants. It allows you to add pictures and video at the click of a button. Your content can be tagged correctly with a simple click. You can even see if your content meets SEO standards with the wonderful Yoast plugin. With a simple traffic light system it shows you whether you content needs work with a red light or whether you are green to go. If you are given a signal that your content needs work all you have to do is page down and it tells you exactly what is wrong with what you have written. Oh and there are thousands of plugins you can add to your site to increase your marketing effectiveness. Do you want to regularly retweet content? Well there is a plugin for that. Want to add a a pop up screen to collect email addresses on your site? Yep there is another pop up for that. This is easily one of the best systems for helping you in your therapy practice marketing today. Google Adwords – Adwords is a complex beast of a system but use it correctly and it is a client attraction machine. Yes it uses pay per click advertising as a means to get paying clients in through your door but that is no bad thing. Think of Adwords as your manager. You pay your manager a percentage of your income and they get you work. Yes of course it would be lovely to get clients without having to pay anything but lets look at the reality of the situation. If you are an established hypnotherapist who has been in the business for years and has built referral networks, marketed to old clients and has a name for themselves then you probably don’t need to do anything to get work. If however you are new to this game you need to get found. Networking and referrals take time and you have to ask yourself can you afford to wait for months if not years to get to the point where you are earning enough to live on. So you think about creating a website instead and boosting it in the rankings until you high in the organic rankings. Again this takes time and a significant amount of effort. In addition with the new way that Google shows results it is likely that even with organic SEO you may appear relatively low on the first page. Google is not daft it now monopolises search to the point where you are going to find if difficult to earn a living without them. Fiverr – This website started out as I will do anything for you for five dollars and now has morphed into the go to site to get things done cheaply. Want new leaflets created for your business? Well you can fiddle around trying to create something badly yourself, hire a local graphic designer or head on over to Fiverr to get this done for the price of a cup of coffee. You can get videos made, websites created, content written and so much more. Of course not everything is quite as cheap as five dollars anymore. Usually the service providers on this site choose to offer their work in exchange for multiples of the five dollars but it will be still be at a great price. What better way to boost your hypnotherapy advertising cheaply. Think about it a local graphic designer in the UK, Australia or The States charges in relation to their cost of living in that country. That means a small graphic can cost you a significant amount of money. The sellers on this site are situated all over the world which means they can significantly undercut local offerings. What may cost you £100 in the developed world can be only £4 overseas. Just make sure that you choose the person you are using from their reviews. If a seller has hundreds of positive reviews then you are likely to get great work. Think twice about choosing services from someone with little or no track record. 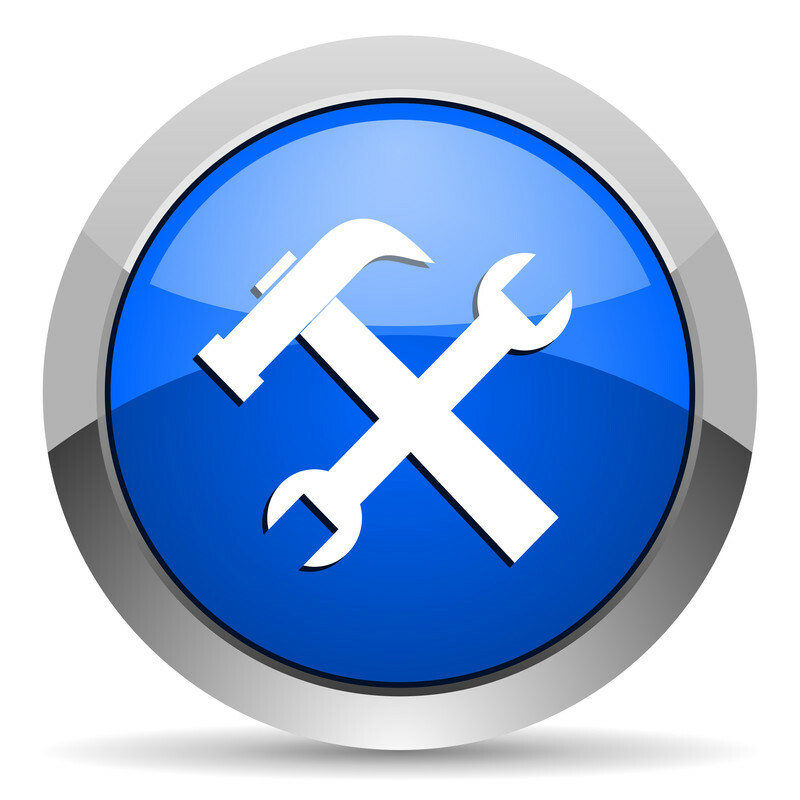 Google Webmaster Tools – Have you placed your website on this yet? If not you are missing tons of useful information that can help you with your hypnotherapy advertising. This free site allows you to see your website as Google does. Here are just some of the reports and data you can receive from the tools. Information on the search queries for your website and the click through rate of the people arriving at your website. Clearly this is valuable information showing you how you have been found. Links to your site – If you have lots of natural links which flow back to your site it boosts your search engine results. The reports here can show you who is linking to you and on what pages. Keywords – Google provides you with a list of keywords it finds when it is crawling your site. Check to make sure that the words they are finding are the ones that you want to be found for. Internal Links – Details of the links on your website which link to other pages. Google loves relevant internal linking as it improves your customer experience. Think Wikipedia. Errors on your site – You may not know it but there may be broken links or problems with your website and Google lets you know where they are. These are only a few of the tools that it is possible to use in your hypnosis marketing efforts. However having the tools is not enough if you don’t know how to implement them. Hypnotherapy Advertising is becoming more and more sophisticated and that means you need to have the knowledge in order to stand a chance in beating your competition. My marketing students found that when they tried to market without any knowledge of these techniques they got almost zero clients in through the door and no income. When they were given the tools to work with and were guided through the marketing maze they suddenly got high search engine positions and a steady stream of new customers. Don’t let a lack of business savvy hold you back from achieving your dream of a hypnosis career find a mentor to guide you through the maze. Marketing a therapy business well should involve creating a great local presence for your services. One of the best ways of doing this is building citations to your business. So what exactly is a citation? In short it is a mention of your name, address and phone number on another website page. The citation does not have to link back to your website. In some cases you will find that people use the term NAP to refer to this name, address and phone number. Citation building for therapists is a crucial marketing strategy that should not be ignored. Building a local list of citations is hugely important for a local business as it is a key ranking factor in Google and Bing. Both these search engines use citations in their ranking algorithm and the more you have the more likely you are to rank over your competitors. Most people believe that a citation needs to be built in a directory but they can also be created in forums, blog posts, press releases and social media links. A citation is telling the search engines that your business is genuine and in the local region. The more citations you have from good quality webpages the more trust you build around your business. 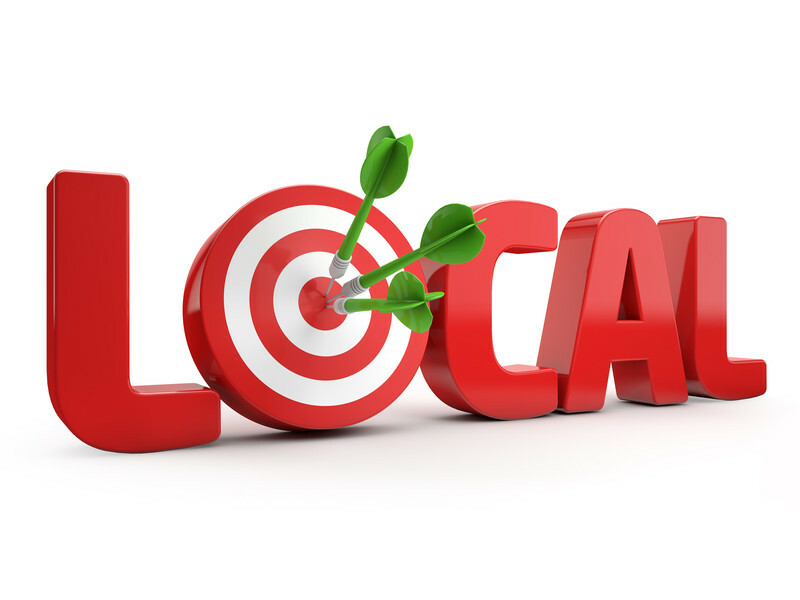 Location specific citations from local newspapers, your chamber of commerce or local directory links can make a big difference to your website rankings in Google and Bing. I will supply a list of some of the most best citation sites on the web at the end of this post but once you have found the site what do you do next? Before most sites allow you to create a listing you may be asked if your business has already been added to their website. This is important for a number of reasons. Firstly it prevents duplicate listings of your business and secondly it allows you to check if other businesses are registered at the same address. Many therapists may work out of therapy centres where there are a number of people working so you would expect to see many other businesses registered at your address. If however you have taken over a premises and an old competitor is registered it is worth flagging this to prevent them benefiting from your advertising. If you don’t have a duplicate business listed you will be asked to fill out details about your company. Obviously the name, address and phone number but in many cases you might also be asked for pictures, website details, social media links, hours of operation, products sold and so on. Fill out as many of the details as you can. Some websites try and persuade you to pay money in order to get a listing on their website. Where possible simply opt for the free option. The purpose of your adding your details is for the citation alone. In many cases paying to be added to a directory is a pointless exercise unless they appear extremely highly in the search engines for your keyword. Be aware that some people will add a different email for their citation links than their usual business email. This is because adding your details to these forms of sites tends to generate spam marketing. After adding your details you will usually be asked to verify a link to finalise the process. Google + Local however sends you a postcard which may not appear until weeks later. Some other websites will ask for your phone number and then call you with a pin number to confirm that you really are at that phone number. In many cases your listing may appear live after only a few minutes but in some cases the citation websites will have a review process of up to six months! Obviously if you paid them for the listing this would be up and running in a day or so. One of the most important points to remember when building citations is to keep consistency. That means using exactly the same name, address and phone number on each link that you are building. Even more importantly the ones you choose should be in exactly the same format as your Google + Local page and Website address. Having different phone numbers or variations of your trading name can confuse search engine algorithms and raise red flags. You do not want any doubt to be created around your business listing so make sure that everything is written exactly the same. Moz local is a system that can be used to track your citations online and ensure that you do not have duplicates, listings that are incomplete or have inconsistencies. A great way of finding out what citations to use is by searching for what your competitors are doing. If you are hiding away on page three or four of the search engines then it is worth looking at the citations that your competitors are using in order to trank. Although at the end of this post I have included a great list to start you off there may be many local listings that you may miss without looking to see what your fellow therapists are using. I know that this method helped me to find a number of local newspaper listings that I would never have even known about when I moved into my new location six months ago. Obviously citation building for therapists is just one small step in getting your business found online and getting customers in through your door. If you were unaware of its importance and had not begun the process of building your citations you could have potentially lost thousands of pounds in revenue in the past year. Thousands of pounds that you could have reinvested in your business, used to pay for a holiday or simply saved for a rainy day. My therapy marketing coaching sessions help my clients to get ahead of the competition and stop burning money following strategies that are not working for their business. Even better the cost of my business training is easily offset by just a couple of new clients. For more details simply contact for more information. The world of therapy marketing is changing, a revolution is going on right now but you probably haven’t been even noticed or thought about it so let me enlighten you. Last year I published a blog post about Mobilegeddon. The point at which Google decided that non mobile websites would be penalised in the search results in favour of those that were optimised for mobile. I should point out that I know that there are subscribers to this blog who still have not actioned anything following this announcement nearly a year later. That means that not only are they a year behind on their SEO it also means that they are unable to optimise on voice search. So what exactly is voice search? Simply put it is a new way of getting information from your smart phone or tablet simply by asking questions to get information. That means it is no longer necessary to type something into a search engine to get results. Instead you can ask your question and you will get a reply back from your technology. The big players in this market are “Ok Google” and “Siri” although there are other sytems out there. The figures for this market are huge with over 55% of teenagers using this form of search and approximately 41% of adults. That means that nearly half the people who may want to use your services are no longer typing queries into search engines but are simply speaking into their phones to get the answers they want. If you are serious about your therapy marketing that means that you will need to take into account how you can get your information to the people who are looking for your services on voice search. Here are just some examples of how this can be made easier. When we look for a product in a search engine we are likely to type in just a short phrase such as “Hypnotherapist in London” or “Confidence Hypnosis in Edinburgh”. With voice search we tend to use longer phrases or sentances in order to get the information that we want such as “Who is the best weight loss hypnotherapist in Ireland?”. Using long tail copy in your posts and content is becoming an increasingly popular way to get found in the search engines. This makes perfect sense when as there are some keywords that you are never going to be found for without the long tail version being used. For example the keywords “Hypnotherapy London” will bring up thousands of results. and so an average hypnotherapist is unlikely to ever be able to compete without for those keywords without a long term SEO strategy. However if a therapist where to define the area of London that they worked in it would reduce the level of competition. If they were also to write additional copy in a conversational style they would also be optimising for voice search. When people use voice search they talk into Siri or Ok Google as if they were having a conversation. They don’t simply say “Hypnotherapy London”. They will ask “Where can I find a hypnotherapist in London?”. This more natural form of phrasing means that parts of the copy on your websites and blogs should also mimic this style in places where it is appropriate. 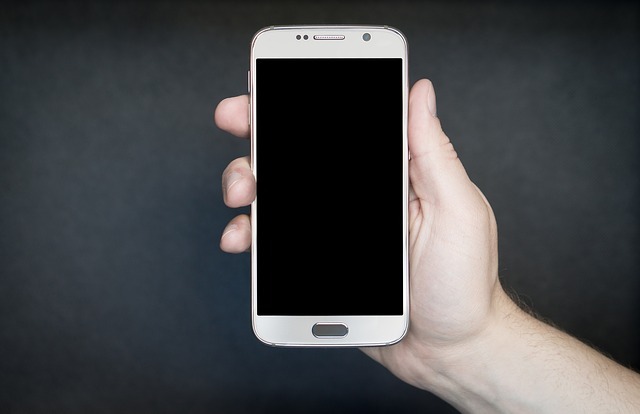 Many therapists especially hypnotherapists already use FAQ’s in their content but I can guarantee that most have not thought how to write that section of their website with mobile voice search in mind. Now think of writing that copy again but answering the questions that people would want to know on voice search. Remember the questions asked in voice search tend to be “Why, where, when, how and what?”. The FAQ’s of course do not have to be just placed in your main content but can also be placed on your web pages or on your blogs. If you a therapist who has barely bothered to write a paragraph or two on each page of their website then you are likely to be a loser where this revolution is concerned. Valuable and informative content in becoming increasingly important. I know that most of the students who come to be for marketing coaching have very rarely bothered to make much of an effort in their initial website attempts. They might have tried to cobble together a website themselves which is misaligned and has three or four pages with little information. When this little effort has been made there is nothing for the search engines or voice search to crawl. That means the Google bot comes along looking for words in that content that gives it clues as to what information that website contains. If the website has no information then the hypnotherapist does not get found. I spend a good portion of the time I have with my clients helping them to understand exactly what hard work they will need to put in to their web design in order to get customers from the internet. The world of therapy marketing is changing all the time and staying on top of these changes is crucial to prevent your business model from becoming obsolete. Getting a helping hand to create therapy marketing solutions and to implement them can mean the difference between success in your chosen profession or heading back to your old day job. This is why my therapy marketing coaching helps my clients to drive customers to their door.